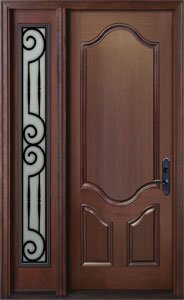 A scroll panel design of this oak grain door becomes an interesting focal point and looks equally good in a solid door or in a door with glass. This model adds a touch of versatility and gives an eye-catching appearance to your main entrance. 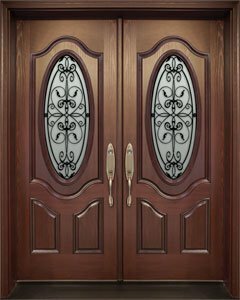 Our pre-hung doors are available: 32", 34", 36" X 79" (Oak, Smooth). 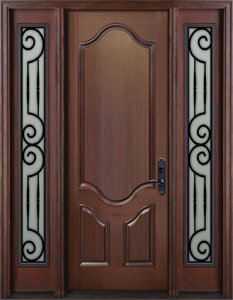 We can also build doors with custom width and height according to our customers requirements.